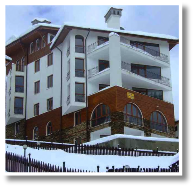 The Rhodopes is an ideal location for winter sports due to its favourable climate. This includes a long but mild winter, with lots of snow. This lasts until the end of May on the northern slopes of Mt. Perelik and the highest ridges. Compared to the other mountains, the Rhodope Region has the least number of days of strong wind and fog, and the highest number of sunny days and clear nights. The warm and pleasant weather of the summer makes the Rhodopes perfect for enjoying the out-of-doors. Whether this is walking, a picnic, or time spent relaxing on the balcony, there is something for everyone. 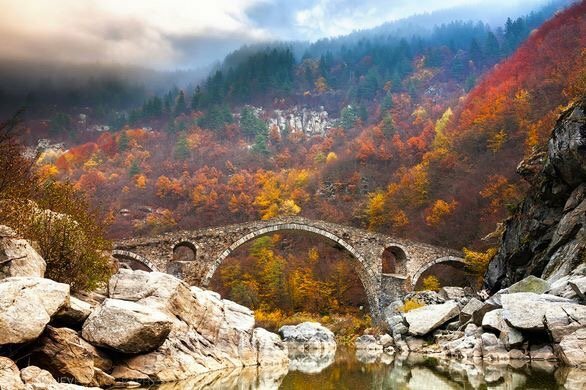 Spring and Autumn in the Rhodopes are equally as beautiful. The air is clear and fragrant in Spring when the new flora is coming to life. The region is particularly photogenic at this time of year. In Autumn, on fine days, the air is warm but as the sun begins to set, there is a slight nip in the air. It is nice to have a warm fire to come home to. Due to the clear nights, the national astronomic observatory was built near Rozhen in 1981. The Rhodope region, (especially Pamporovo and the village of Stoikite), boasts a unique natural phenomenon called negative air ionization. This is believed to be extremely beneficial to health, giving renewed strength and energy. Thick coniferous forests on the mountaintops produce the so-called phytoncides, which is also believed to be beneficial as it makes the air quality especially good for people suffering from asthma and chronic diseases of the upper respiratory system.